Slack is designed to take all those emails and files -- and other content from Twitter, Dropbox and elsewhere -- plunk them into its own platform, and make it all easily searchable. San Francisco-based Tiny Speck, which was founded by Stewart Butterfield, launched Slack to the general public on Wednesday. There is a free version, and a paid version offering more search and storage features. One of Slack's core features is search. The service indexes the contents of every file, whether uploaded directly or through an integration as with Google Drive or Dropbox. Users can create channels within the service for different topics or projects, and search for files within those channels. Slack also can integrate with dozens of external services like Github, Google+ Hangouts and Twitter to pull that activity and information into Slack. The list of enterprise communications services that Slack aims to replace is long. It includes intra-team email and mailing lists, instant messaging and group messaging services, and internal file servers, its developers say. The service may catch on, judging by the strong praise it has already gathered since it launched in beta mode last August. Tiny Speck says the software is already used daily by thousands, including by workers at Rdio, Soundcloud and Buzzfeed. 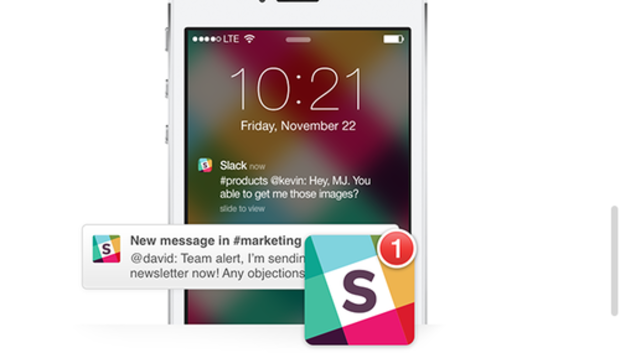 Still, Slack is operating in a crowded market of "consumerized" workplace productivity apps. Competitors include Yammer, which calls itself an enterprise social network that helps businesses get work done, and HipChat, which is built around group chatting. Another is Tomfoolery, recently acquired by Yahoo. To distinguish themselves, Slack's developers say that the service is not a project management tool like Asana or Basecamp, nor is it a calendaring service. But as entrepreneurs continue to launch new platforms for sharing content, services like Slack could serve a useful purpose. Slack is available as a Mac desktop app, and also as native apps for iOS and Android-based devices. The paid versions of Slack start at US$8 a month, with a more expensive version costing up to $100 a month scheduled for next year.